The Hemisphere A101 Smart Antenna combines antenna with receiver enclosed in a robust housing. 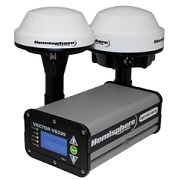 Because it can track L1 GPS signals, it can be used for a large number of applications, including GIS mapping, agricultural, and marine projects. Hemisphere’s A101 Smart Antenna combines an antenna with a receiver enclosed in a robust housing. 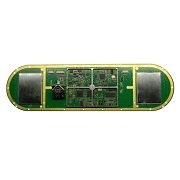 Because it can track L1 GPS signals, it can be used for a large number of applications, including GIS mapping, agricultural, and marine projects. The Hemisphere A101 Smart Antenna is characterized as providing rapid start-up as well as reacquisition times. It is accurate up to 60 centimeters. Moreover, its high output rate is up to 20 times per second. This makes it well suited for operations that demand trustworthy visual guidance and steering signals. The company’s COAST software makes it possible for the smart antenna component to use differential correction data previously recorded when there is blockage or interference of the signal. In times when there are no differential signals available, the A101 can retain sub-meter positioning up to 40 minutes thanks to COAST technology. 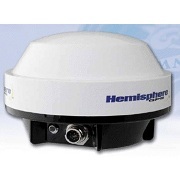 The Hemisphere A101 Smart Antenna can be ordered through Blue Planet Geomatics. If you have any question, please complete the Request Pricing form and send us a message.